London – A view from the river. St Paul’s still stirs my heart. I was on the river desperately hoping it would not rain as the sky was dark and was that a funnel cloud to the left? Best get indoors for a cup of tea! This week’s black and white photograph. A view from the river Thames. 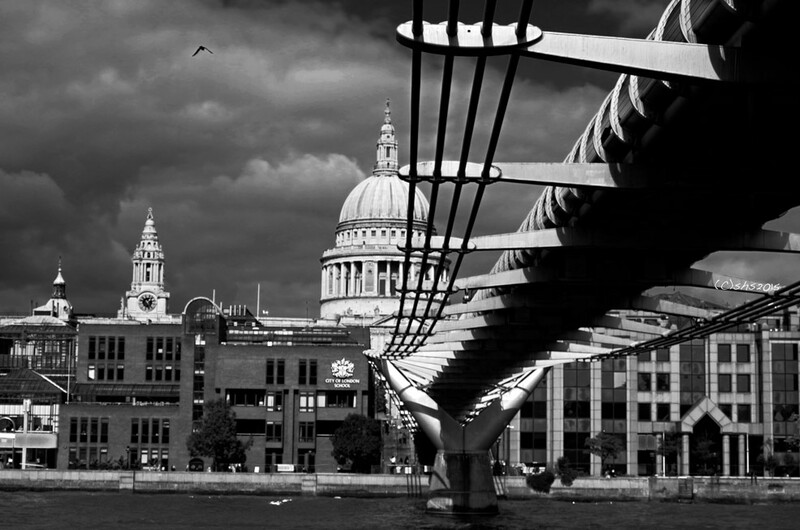 This entry was posted in Black and White Photography Challenge and tagged Architecture, Black and White photography, Black and white travel photography, England, London, London sights, River Thames, St Paul's Catherdral, Thames. Bookmark the permalink. 4 Responses to London – A view from the river. I took a river boat cruise on the Thames.. Bumpy but gosh good fun!! great work with the lights and shadows! Thanks!! Welcome to my blog! It was tricky taking shots on a moving boat! But good fun! !